There is little dispute amongst the scientific community about the warming effect of CO2. Both those who accept and those who reject the climate change hypothesis agree on this—they even agree as to how much warming CO2 is capable of causing. But according to the International Panel on Climate Change, CO2 only accounts for half of the expected warming in the computer models. The assumption is that the rising temperature attributable to CO2 will result in increased atmospheric water vapour as a result of evaporation, which will further amplify the warming of CO2. The IPCC believes that the positive feedback from increased water vapour will double the effects of any temperature increase attributable to CO2. In summary, the IPCC states that positive feedback from water vapour accounts for half of the warming in their computer models, and that this should manifest itself in the form of the mid/upper troposphere warming at a faster rate than the lower troposphere/surface. ALL temperature records, both satellite and weather balloons, show the lower troposphere (LT) warming faster than the mid/upper troposphere (MT), i.e., no tropospheric hotspot — the opposite of what was predicted in AR4. It’s true the hotspot can be caused by any type of forcing, not just CO2, but the fact that it doesn’t exist shows that there is no evidence of positive feedback from water vapour. Note: Don’t worry about Sceptical Science being in the pay of ‘big oil’, it’s notorious for being a pro-climate change propaganda mouthpiece. So How Much Will it Warm? CO2’s ability to warm weakens as its concentrations rise, which is why science always talks about it in terms of how much it will warm per doubling of total CO2, e.g., if CO2 concentrations double from 1ppm to 2ppm it will rise 1.2C. For it to rise 1.2C again it will need to double again from 2ppm to 4ppm, and then from 4ppm to 8ppm, etc. In the year to May, CO2 rose by 1.82 parts per million (ppm) from 401.88ppm to 403.70ppm, and at that rate it will take 221 years to double from 403.70ppm to 807.40ppm & rise a maximum of 1.2C. For it to rise another 1.2C it will need to double again from 807.40ppm to 1614.80ppm, which will take a further 443 yrs – a total of 664 yrs to rise a maximum of 2.4C. Considering 1.2C is the extreme amount it can warm it will probably take longer. The IPCC made a prediction in their AR4 that was supposed to account for 50% of the warming, and this prediction has been empirically falsified by the empirical scientific data from all temperature records in their subsequent AR5 report. Without the upper troposphere warming at a faster rate than the lower troposphere there is no evidence of positive feedback from water vapour. No tropospheric hotspot = no evidence of positive feedback from water vapour = no anthropogenic global warming (well, nothing to worry about anyway). There have been claims that there is missing heat hiding in the oceans, but if this is true that makes the case for positive feedback from water vapour even weaker. So even if it has warmed over the last 18 years, it certainly isn’t as a result of our CO2 output. So where did all the extra evaporation go when it was warming prior to the current 18 year warming ‘hiatus’, and why hasn’t it been amplifying as predicted? The IPCC have recorded slightly higher rates of precipitation over the years which suggests that, although there is increased water vapour, it has manifested in the form of lower level cloud cover and rain. Lower level water vapour is thought to have a negative or neutral feedback (i.e. cooling effect), as clouds tend to reflect the radiation back into space, and they release any stored heat when it rains. But what about the ‘97% of scientists’ who believe in global warming? As far as I know 100% of scientists believe in global warming and that CO2 contributes towards it, including those sceptical of anthropogenic global warming. What they don’t agree on is what happens after CO2 warms the planet, i.e. water vapour, clouds, feedbacks, etc. – that is the real debate in climate science, not that you’d ever know about it reading the stories in the mainstream media. So, if a vital 50% of the anthropogenic global warming theory has failed a major empirical test, why does the media neglect to mention it? They only read the IPCC’s Summary for Policymakers, which is written by politicians who negotiate every word, and avoid the actual science that is in the Working Group I section. They’re incapable of understanding the science so just accept what they’re told by others. They’re environmental activists masquerading as journalists, and are too busy pushing an agenda to report the truth. It’s too difficult to report science in a form that the general populace can understand. They need dramatic headlines to sell papers, and they’re told what to write by their editors as a result. I personally think it’s often a combination of all five, although I have to say that amongst certain ‘ journalists’ some points are more relevant than others (to put it politely). There is obviously a lot of solid and worthwhile scientific research conducted by our scientists in Antarctica which we should all applaud and would like to hear more about. But I am just bracing myself for all the quasi- science spin and extrapolation and out of context headline grabbers that the most ambitious of the experts will produce for an ever ready media. Some might even win a ticket to Paris. Yes, wasn’t a newspaper reporter sponsored to Lima by the SMC or suchlike? Tim Groser’s entourage of policy wonks will have had their tickets booked and paid for by the taxpayer long ago. Paris this year – Woo Hoo! No formal hypothesis has ever been written. Therefore no hypothesis has been written according to the radiative forcing criteria defined by climate science and provided by the IPCC in FAQs (hidden in plain sight). Therefore no-one is in a position to either accept or reject the hypothesis. And it must be a formal falsifiable hypothesis in accordance with the scientific method i.e. falsifiable by measurable evidence. The media aren’t telling anyone about this either because climate science is not making it clear to them. The scientific method would also include a formal null hypothesis. These are two separate hypotheses. The criteria is “the planet’s energy balance” at TOA. The “energy balance” as measured at TOA. Problematic unfortunately. Climate science (Stephens et al 2012, Loeb et al 2012, IPCC AR5 Chap 2) report the most recent imbalance to be a “steady” (trendless) 0.6 W.m-2 measured at TOA. CO2 “forcing”, supposedly effective at TOA, is now in excess of 1.5 W.m-2. Over 1 W.m-2 of that has occurred over the IPCC’s anthro attribution period 1951 – 2010. The empirical trend is 0.2 W.m-2 2000 – 2010 (Berkeley Labs 2015). CO2 “forcing” is therefore a completely ineffective climate forcing according to the criteria laid down by climate science. That’s it, nothing else required. No evidence of this from observations. Effectively a null hypothesis. CO2 is not a climate forcing. A hypothesis (plural hypotheses) is a proposed explanation for a phenomenon. For a hypothesis to be a scientific hypothesis, the scientific method requires that one can test it. Scientists generally base scientific hypotheses on previous observations that cannot satisfactorily be explained with the available scientific theories. Even though the words “hypothesis” and “theory” are often used synonymously, a scientific hypothesis is not the same as a scientific theory. A working hypothesis is a provisionally accepted hypothesis proposed for further research. People refer to a trial solution to a problem as a hypothesis, often called an “educated guess” because it provides a suggested solution based on the evidence. However, some scientists reject the term “educated guess” as incorrect. Experimenters may test and reject several hypotheses before solving the problem. A working hypothesis is a hypothesis that is provisionally accepted as a basis for further research in the hope that a tenable theory will be produced, even if the hypothesis ultimately fails. Like all hypotheses, a working hypothesis is constructed as a statement of expectations, which can be linked to the exploratory research purpose in empirical investigation. Working hypotheses and are often used as a conceptual framework in qualitative research. Climate science, and the IPCC, ignores all this formalism. They are not scientific. An IPCC assessment report should essentially be just a formal hypothesis, an experiment, the results of the experiment, and a conclusion from the results in respect to the hypothesis. The climate experiment is actually live, real-time real-world. What they have instead, mostly, is screeds of anecdotal and non-real-world observations very little of which is in respect to the critical hypothesis. However they do provide the criteria for a hypothesis except they don’t say so in those terms. This is actually very simple – someone tell Tim Groser, he should be able to understand it. See Paul Clark vs There’s Physics. This argument is getting very close to the critical issue but the warmies don’t want to look at the observations, they’d rather preach their theory. Do you have a link to the change in incoming & outgoing radiation? I’m not sure what you’re actually asking for. This is basic physics. If energy accumulates, it’s because there’s more coming in than going out. If energy drops, it’s because there’s more going out than coming in. I can’t think of what to link to (other than, possibly, a first-year physics textbook). With all those satellites up there measuring outgoing radiation, if they found anything, surely they’d be heralding it from the rooftops. So I ask for the link of the “smoking gun”. I provided you with link (previous comment) showing the warming is not due to the “greenhouse effect” because OLR hasn’t decreased during the few decades of warming. Science is not done by starting with the theory and assuming observations match it. As the internal flux of EMR in any object provides no warming: the only way a greenhouse effect can warm earth is if it causes emission to be from the higher, cooler layers of troposphere. If the “basic physics” of the greenhouse effect is in operation, there would be an observable change in the outgoing emission spectrum of earth – less emission at CO2 absorption wavenumber. This change would happen even if earth didn’t warm, as it hasn’t for 18 years. So, please link me to this “smoking gun”. OK forget greenhouse effect: show me the change in outgoing EMR spectrum. It doesn’t exist. Anyway, thanks for the reply. I’ve been blocked by carbonbreif on Twitter & now I’m getting the wind-up here from John Russel (MOD). Shame. I get the hint & I won’t be back on this site. Thought we were having a good talk, but I guess not. Time to wrap it up then. Remember debate’s bad because the consensus position is so strong…oh, wait.. Yes I see of cause. The agricultural CH4 at least once its back into CO2 is (in a way) not representing an extra loading and hence the 84 figure is likely not applicable in its full extent for AG CH4 emissions. It would be interesting if somebody has worked this out. The 84 figure is some GWP figure he found somewhere. My question about the relevance of GWP when methane stock is not increasing, which Gareth succinctly answered ( and correctly, in the context of the radiative properties of methane). Be interesting to see the response. According to this paper, there has been no clearly identifiable change in global water vapor levels in the last few decades. The positive water vapor feedback cannot occur if water vapor levels don’t dramatically increase (with the 1.2 C of warming caused by CO2 at most). Introduction: Water vapor is a principal atmospheric variable, and is a central component in both the Earth Energy Budget and the Global Water Cycle. Clouds and precipitation manifest its presence, its phase transitions are a source of energy to influence motions in the atmosphere, and its transport (e.g., atmospheric rivers can produce significant weather events. Increasing water vapor amounts in a warming climate could accelerate the global hydrologic cycle. Conclusion: [A]t this time, we can neither prove nor disprove a robust trend in the global water vapor data. 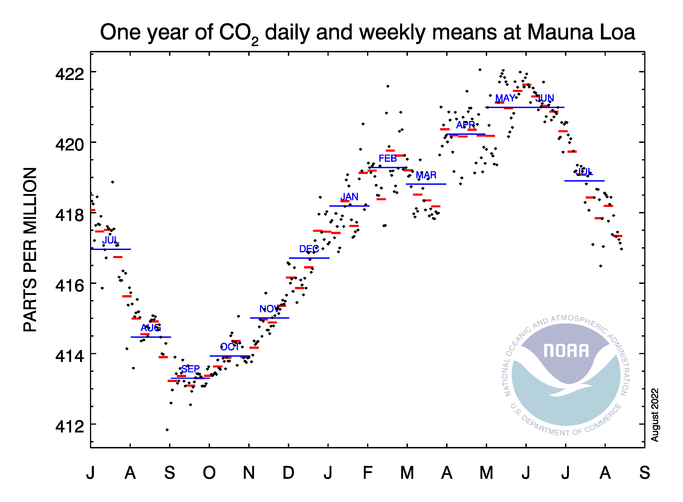 And in looking at this graph from this same paper (below), notice that water vapor levels don’t change much at all in the tropics year-round, and that the water vapor levels at the poles are so low that even with the temperature change of +30.0 C and up from winter to summer, water vapor levels don’t change much at all. So if water vapor don’t change much at all with +30.0 C, how could they possibly change with only +1.2 C of change? “The 84 figure is some GWP figure he found somewhere”. Sort by Newest will bring it up too. That was meant to be table and the button got pushed before editing. radiative efficiency are dealt with elsewhere in the calculation. If you wanted to compare to a short half life gas then a shorter time horizon may be appropriate. Using 20 years for CH4 makes no sense. What changing from 100 years to 20 year time horizon does is artificially reduce the impact of CO2 and thereby increase the relative impact of CH4. The measure essential ignores the last 80 years of CO2 warming but takes into account all the impact of CH4 which has a half life of 7 years. The decay function is the significant item. Changing the time horizon from 100 to 20 changes the decay function for CH4 from 7.2 to 6.8 ie by a trivial amount. My main beef (pun intended) with the methane decay issue is that if we reach equilibrium and the stock is not changing, what relevance is the decay function? Even though the radiative properties of methane and my hypothetical gas are exactly the same, one gets treated differently to the other. Actually I think Gareth at HT correctly interpreted this as a means of defining methane under an emissions trading scheme, and not due to its physical properties so much. Andy, I don’t disagree with you on that but I don’t see how it helps. CH4 will not be completely excluded by IPCC. The wrought we now have was developed in the 1990’s when it did appear that atmospheric CH4 was increasing rapidly. The pulse model was developed because it was projected CH4 would NOT get to equilibrium. Atmospheric CH4 quickly stabilised post 2000 but the wrought remained. If you are going to tax emissions of CO2, rather than accumulations in the atmosphere of CO2, (not that I know how you could do that) then presumably you have to tax emissions of CH4 regardless of the minimal net increase in the atmosphere. If you accept CH4 needs taxing the time horizon for the GWP calculation should be 100, otherwise it is not referenced to CO2, and a static state assumption for CH4 should be applied meaning the GWP multiple is 7 not 23. All Gareth has done is say it could be anything, maybe zero. The time horizon issue is pure IPCC obfuscation feed into Wikipedia and repeated without challenge. Gareth has our model and should be able to see past that. This doesn’t help in fixing NZ’s overstated emissions calculation. We will not get CH4 counted as zero so we should at least be using the right number. 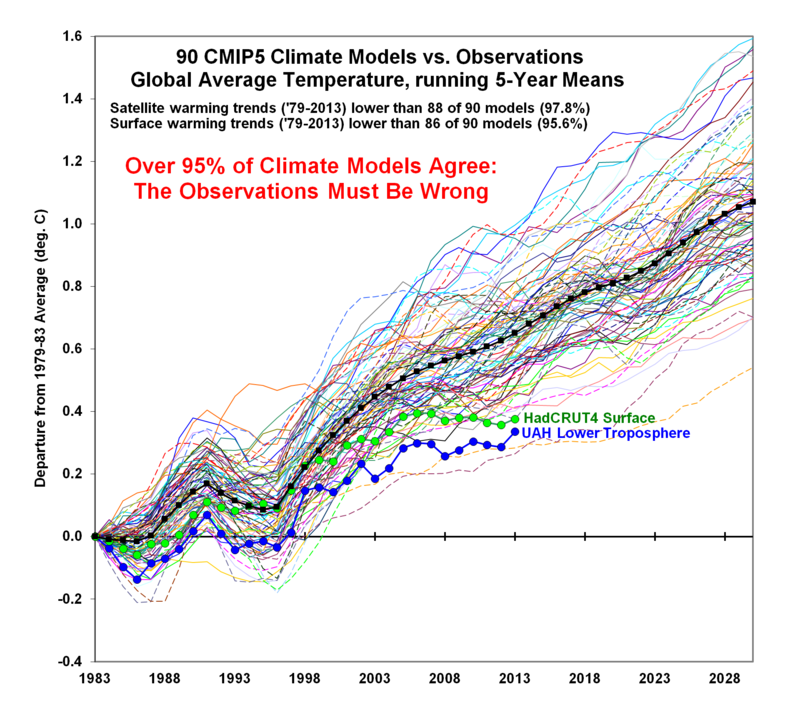 Remember the model that we unwrapped was IPCC’s own work. To be fair on Gareth, I think he does basically accept now that ruminant methane is not the same class of problem as CO2 for the reasons already stated, and he also said that the “horse has bolted” as far as the dogma surrounding this issue is concerned. Gareth Morgan has also made similar comments on his blog on methane. Maybe some movers and shakers are trying to get things changed, but the likelihood of anything happening at Paris (other than the odd party) is pretty remote anyway. If we accept that or Gareth’s lack of analytical rigour (on this issue) we may as well give up.